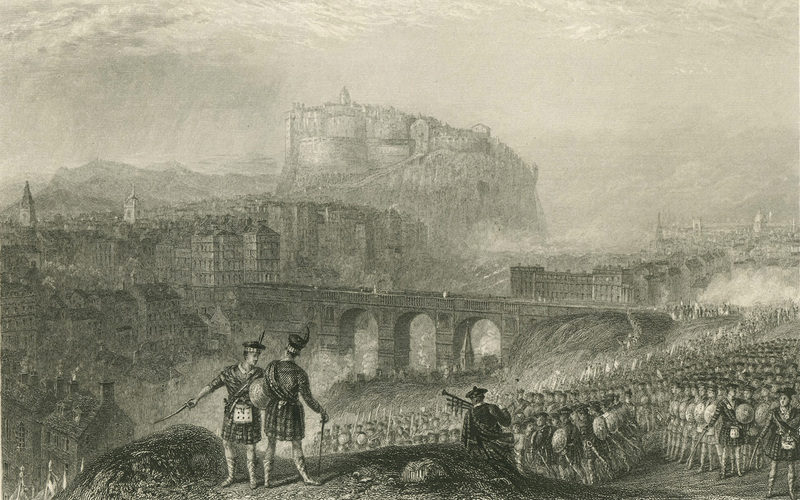 The new exhibition in the CRC Display Wall marks the bicentenary of Waverley (1814), Sir Walter Scott’s ground-breaking tale of the 1745 Jacobite uprising. Scott’s anonymously published debut novel introduced a dynamic new vision of history and landscape which galvanised writers, musicians, and artists throughout the world and drew countless visitors to Scotland. Novelists like Tolstoy, Balzac, and Dickens, composers like Donizetti, Rossini, and Bizet, painters like Delacroix, Millais, and Turner (see print above) all found inspiration in his work. 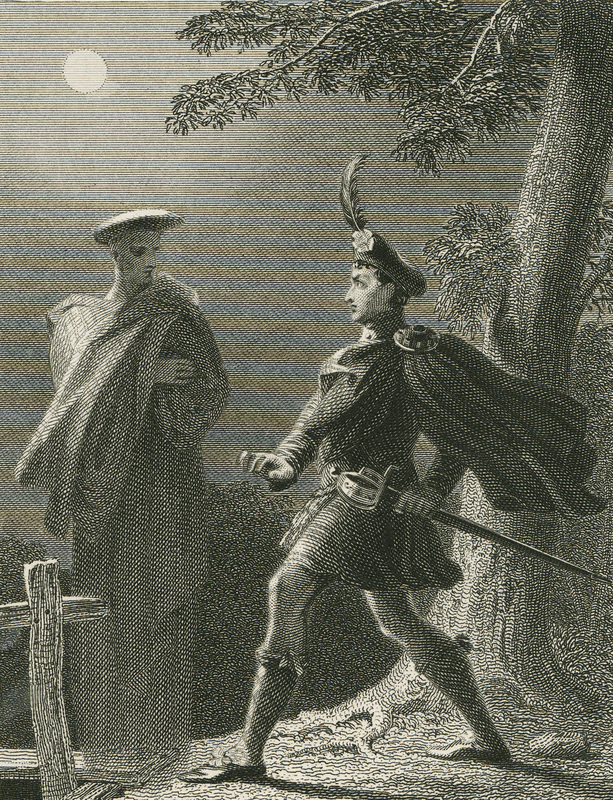 More operas and paintings are based on Scott than any writer except Shakespeare. No other novelist has been so widely adapted for stage, screen, and television. Such was Scott’s enduring contribution to Scotland’s tourist industry, that both Edinburgh’s main railway station and the line heading northwards from England were named after Waverley. The works on display are drawn from the Corson Collection of Walter Scott materials, a collection of nearly 7,000 books and over 10,000 artworks, which Edinburgh University acquired from James C. Corson, former Deputy Librarian and lifelong Scottophile, in 1978. They include presentation copies of the first edition of Waverley, French and Italian translations, a chapbook abridgement, and a popular theatrical adaptation. Other items attempt to unmask the stubbornly anonymous ‘author of Waverley’ or cater to public curiosity as to the real events, people, and scenes behind Scott’s fiction. An 1820s tract accuses Scott of corrupting the innocent, but by the end of the century school editions and abridgements show how he came to be seen as the ideal writer for the young. 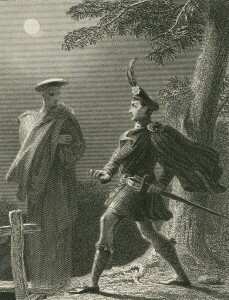 There is a wide selection of engraved illustrations, along with original sketches by Scott’s friend James Skene of Rubislaw. The exhibition concludes with Edinburgh University Press’s landmark ‘Edinburgh Edition of the Waverley Novels’ which has won a whole new audience for Scott. This exhibition is open from 02 April 2014 to 04 July 2014, Monday to Friday, 09:00-17:00. 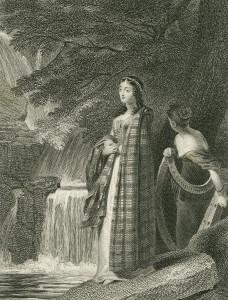 For more information on the Corson Collection, see the Walter Scott Digital Archive.